This piece comes from “Di nevue fun shvartsaplen” (“Prophecy of the Inner Eye”), the second of Sutzkever’s prose poetry collections. The frame of these stories does not vary strikingly: there is the mysterious figure from the past and the tale that establishes the relationship of that figure to the narrator; a denouement rarely pro-vides closure but reminds the reader of the omnipresence of the dead. The poetic idioms, however, reflect different aspects of Sutzkever’s Holocaust imagery. What a question—of course I remember! Your name is actually Munke, but the forest people, Jews and non-Jews, called you Munke Poyterileh. Beats the heck out of me where your nickname came from. All I know is, you were both joined at the hip. Wherever Munke was mentioned, Poyterileh was too. Is your current name, more assimilated to English, a translation of the one be-fore? I can’t figure it out. In any case, you were and will remain Munke Poyterileh, galloping continuously for decades in my memory. I see your shocks of hair shoot off red sparks, like your father’s forge in Myadl until it was devoured by its own fire. Now to the substance of your letter, Munke. You’re about to die, and you want me to forgive you. How do you know you’re about to die? My friend the poet Leizer Wolf has a line, “We die daily in small doses.” That’s a real line. But it wouldn’t be any less true for both of us if it said “big” instead of “small.” I’m going to make an effort to grab the substance by the horns: you want me to forgive you. You already asked me the same thing. Then, Munke, you were still living. That was during our encounter after the liberation of the living in the ruins of my dead city. You fell to one knee in front of me, leaning on your rifle. I was astonished. Such humility from Munke? What happened for you to ask my forgiveness twice over? Let’s recall. In late fall 1943, when the devourer of seasons had already spread burning stained glass in the Narotsh bogs, and the wind polished and sharpened the moon-like snows on the fir branches, Kim Zelenyak (the same one who cut the cord for that woman Lucy who gave birth to a forest child) found a frozen Romani kid, barely alive, on the dog paths (that’s what the hidden partisan trails were called), wrapped in curlicues of familiar-yet-unfamiliar writing. Since Kim was a frequent guest in my earthen hut, and he understood that my ancestry had some connection with that script, he brought what he found to my dirt house. When Roma revived from his frozen state, like an ice-covered windowpane thawed by the sun, he related in sign- and blood-language how he fled naked and alone from the valley of slaughter near Kurenitz, where he was brought with a wagonload of other Gypsies. In that wagon, curled up next to his dead grandfather, were also his three sisters. Their horse died there too, standing in harness. Run-ning away from that valley of slaughter, naked in a frosty night, he wrapped him-self in those garments—sheets of parchment from a torn-up Torah scroll lying on the ground on Kurenitz alleys breathing their last. Perhaps you remember that I buried the parchment under the lonely birch tree next to the earthen hut, and said kaddish. I wrote some lines on the bark. An arboreal tombstone. Roma stayed in my earthen hut. Dr. Podolni extracted a bullet from his shoulder. No one in the forest was as lonely as the little Romani. Even us Jews looked down on him. A little guy without a people. But the one who caressed him with her eyelashes and was always fetching him things was Lucy. The same Lucy for whom Kim Zelenyak bit off the cord last year when she gave birth to a forest child. It’s true, while you—as an intelligence officer—made your way into the enemy’s maw and tore out his molar, Lucy spent her heedless time extracting the little Romani’s loneliness. And when you came back whole, bearing a number of victories, Roma was already back to normal. He had learned Yiddish, and I’d learned a bit of the Romani language from him. Lucy learned the Romani language even better than I did. When Roma shook up the woods with a song in his native tongue, the birds in the snow-covered nests joined in. Munke, I don’t know what battle played out in your blood when you came into the earthen hut and Lucy was playing with the Romani’s shimmering forelock. I saw out of the corner of my eye that you weren’t looking at things the way you had before. In the darkness of that earthen hut, your look had the glowing green stare of the hungry wolf you had recently tangled with. After a short time, Roma become part of the espionage unit. He happily left to avenge his three sisters and the innocent horse who died standing between the wagon shafts. News arrived in March 1944 that an airplane would land in the Hushatsh region to take me across the front. While you accompanied me there, I asked you to take care of the little Romani. It’s of vital importance to me that he survive to see victory. You promised by all that was holy, though the word holy didn’t grow in the forest. When we met after the liberation of the living in the ruins of my dead city (we had been looking for each other! ), you got down before me on one knee and asked my forgiveness: Roma had been torn apart limb from limb while skipping over a minefield. Munke, you didn’t sin against me at all. I don’t have anything to forgive you for. Twice you showed me great fellowship in the forest: when I couldn’t take off my boots because the ulcers in my feet were stuck to them, you expertly cut them open to free my feet from the leather cages and even gave me your own boots; and when you brought me a slaughtered thrush to take the edge off my hunger. Munke Poyterileh, all these years you haven’t stopped galloping in the forests of my memory. When you stand before the heavenly court, and they weigh your sins on one side of the scale and on the other your good deeds, the Romani will jump on both scale pans. Then the lord of the scale will render judgment. AVROM SUTZKEVER (1913–2010) is considered the premier master of Yiddish poetry. Born in Smorgon, he spent his early childhood in Siberia, to which his fam-ily fled during the First World War. He achieved renown as a writer in Vilna in the interwar period, making his reputation in the 1930s as part of the literary group Yung-Vilne, and he later survived the Vilna Ghetto. While much of his early work typifies the interwar Yiddish modernist movement, exalting the beauty of nature, his work spans the entirety of late-20th-century Jewish history, and the Holocaust and its narratives gave rise to much of his poetic landscape. After World War II, Sutzkever immigrated to Tel Aviv, where he spearheaded the literary journal Di goldene keyt (The Golden Chain), a self-conscious attempt to connect with the rich Yiddish literary tradition of Eastern Europe and continue its legacy in Israel. ZACKARY SHOLEM BERGER is a writer and translator working in Yiddish and English in prose and poetry. 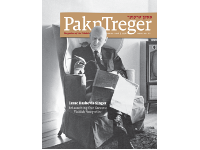 His translations of Avrom Sutzkever have appeared previously in Pakn Treger, In geveb, and Poetry.